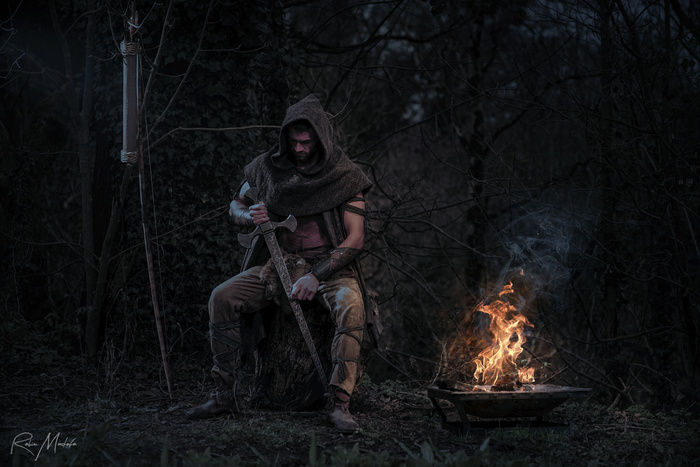 I was shooting a Robin Hood cosplay photo shoot recently. We had shot a few different set ups using ambient light as well as off camera flash. We were shooting at a cool medieval castle location in the middle of the day. 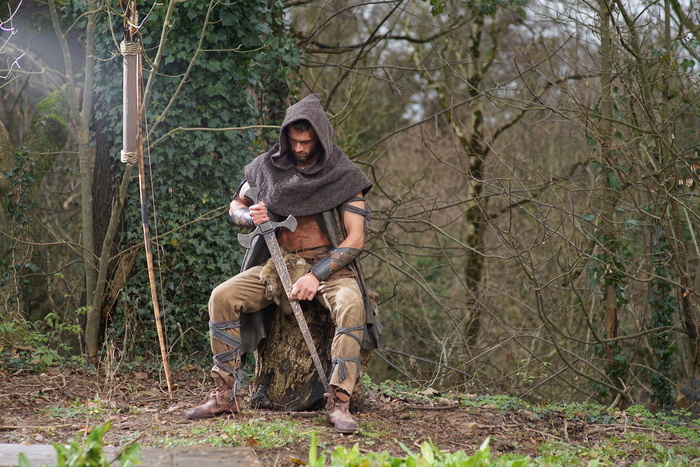 Near the castle was a spot where we thought we'd create a little scene where “Robin” was sharpening his weapons. I set up my Pixapro Hybrid 360 flash on a 10ft boom. I also placed another speed light to the left of the model which would act as a bit of edge light. I shot with a Sony a7ii and a Samyang 85mm 1.4 lens. At the time I didn't plan on turning it to a night time scene, nor did I have the idea of a bonfire. It came to me later on in the edit. I thought it would look cool if I could make a night time bonfire scene, so for this I had to work some Photoshop magic. Using various layers and colour effects, I turned day into night. But one thing was missing. The bonfire. At first I thought I'd have to find a stock shot online and make it work. 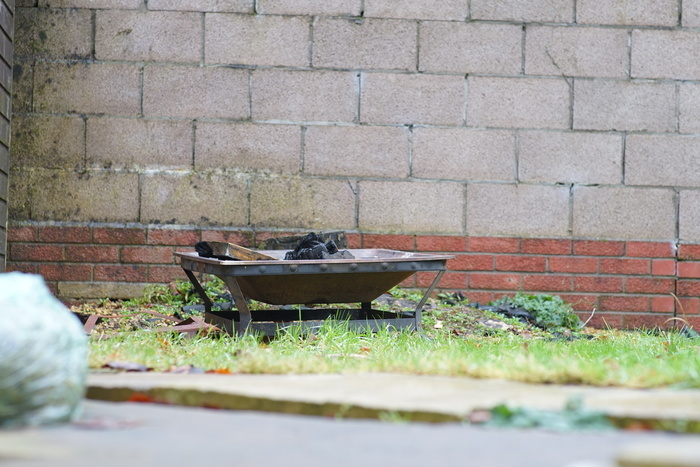 However, I remembered that I had a small metal bonfire in my garden, left there from the previous owners. So, I grabbed my camera and and shot from a similar angle as the shot with the model. I then worked on making the two elements work together. I added stock shot flames, smoke and embers which I bought from Shutter Stock. It was a fun challenge to create the effect and something “Robin Hood” was really pleased by. How about you? Do you also have ideas come to you later on in the edit, or do you always plan things ahead of the shoot? Can this be called photography? Very nicely done indeed, the images and the model was great. Location superb, lighting great. It appears that the lighting (flash) was set on the edge of the softbox to the model is that the true. Was that so you only get the falloff? This is a lot of work to do something realistic and well done like this. Matching light, color, shadows, etc takes a ton of skill and patience. Nicely done!